Jill Weber gets it. She’s a middle school teacher honing her craft in Cheney, Kansas and she is rocking it. Finding the balance between foundational content and process. Problems to solve. Evidence to analyze. No obvious answers. Academic discomfort. Groups to work in. Hands on. Physical movement. Obvious passion for the subject. She’s one of those teachers that I would have wanted for my own kids to have when they were in middle school. And I’ve had the opportunity to work with her for almost six years. She jumped in feet first to our second Teaching American History project back in 2010 and then transitioned into the ESSDACK social studies PLC. She was awarded the Kansas Council for the Social Studies 2016 secondary mini-grant and is the 2016 Gilder Lehrman Kansas History Teacher of the Year. And she shares a ton of her stuff on A View of the Web. One of her recent posts caught my eye and asked if I could re-post it here. I love her idea of starting off the school year with a historical thinking bootcamp. She wants her middle schoolers to understand what they’re getting into and spends six days training her kids in the basics of thinking and reading like historians. 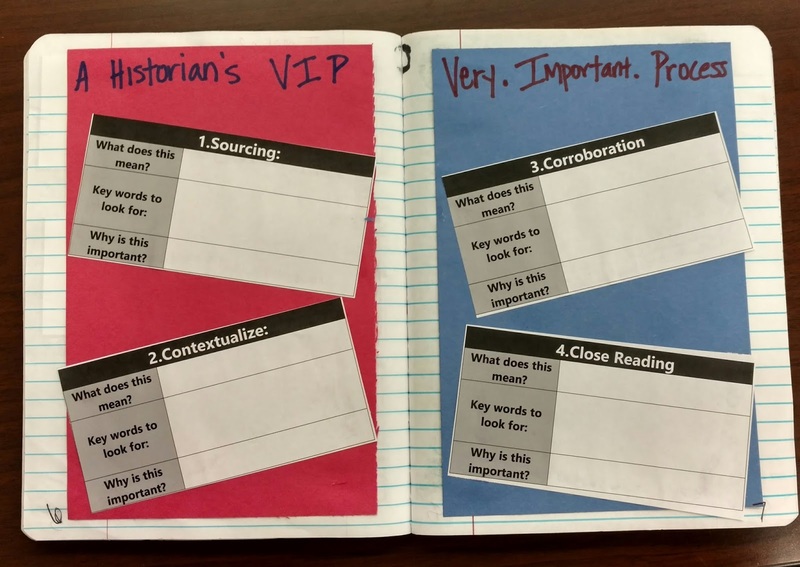 This is the sort of thing that I think all good social studies teachers are doing but I like that Jill has been very intentional about planning for this type of learning to happen. And while her focus is on middle school and Kansas / US history, this is stuff that all of us need to be doing. So use what you can and adapt where needed but put these ideas into practice. This is a long post, mostly because I tried to give a good view of what my class looks like the first few days but also because I included pictures. There is no textbook to lug around. We use one periodically but rarely. I keep a class set in the room. Very few, if any, multiple choice questions. A lot more writing. Less and less “worksheets.” A lot of collaboration with peers. More projects. Technology integrated into the subject. 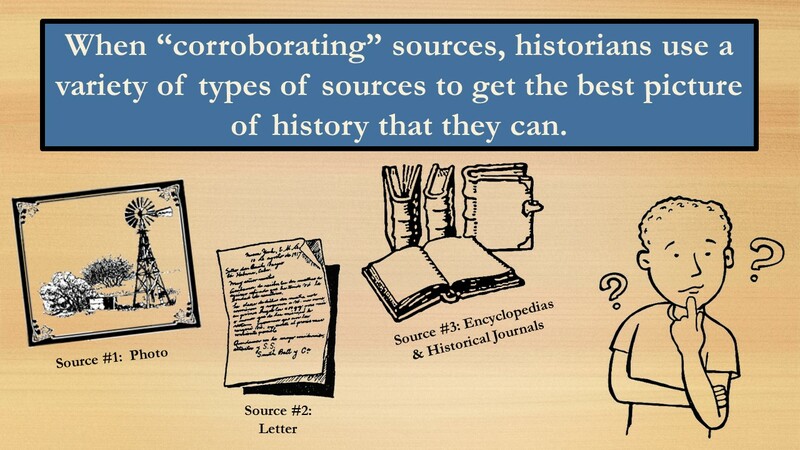 Everyday vocabulary such as primary sources, contextualize, corroborate, bias, artifacts, inference. Questions that don’t have one right answer. Having to defend their answers with evidence. 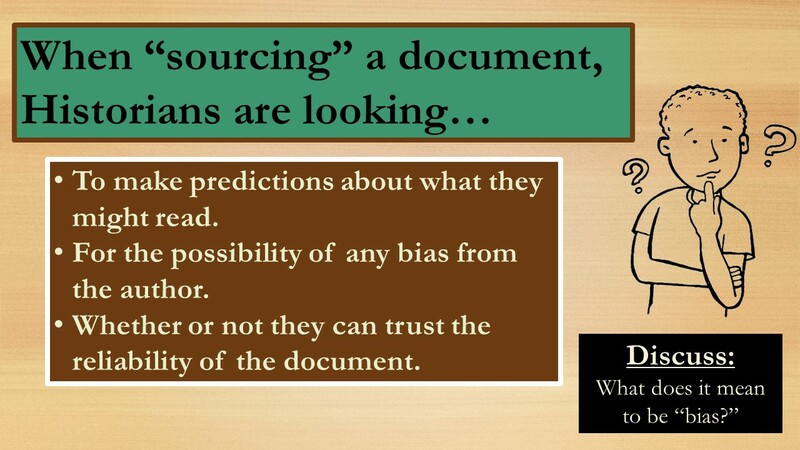 Discussion about sources. Primary vs. 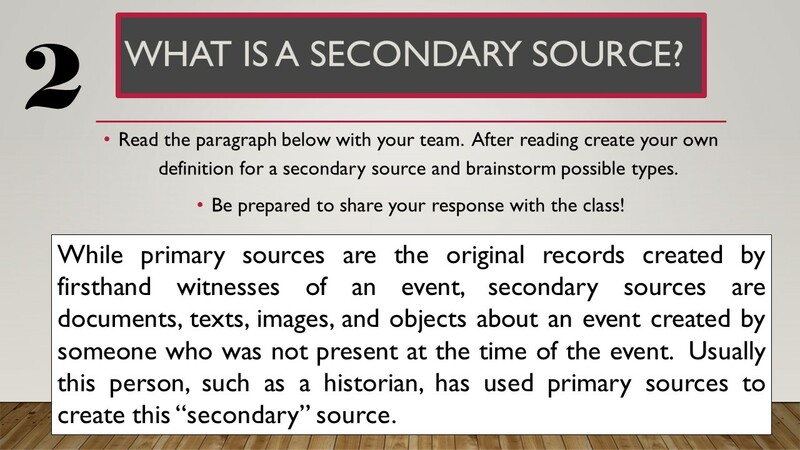 Secondary sources. Sometimes there is a student who knows the difference but they are in the minority. 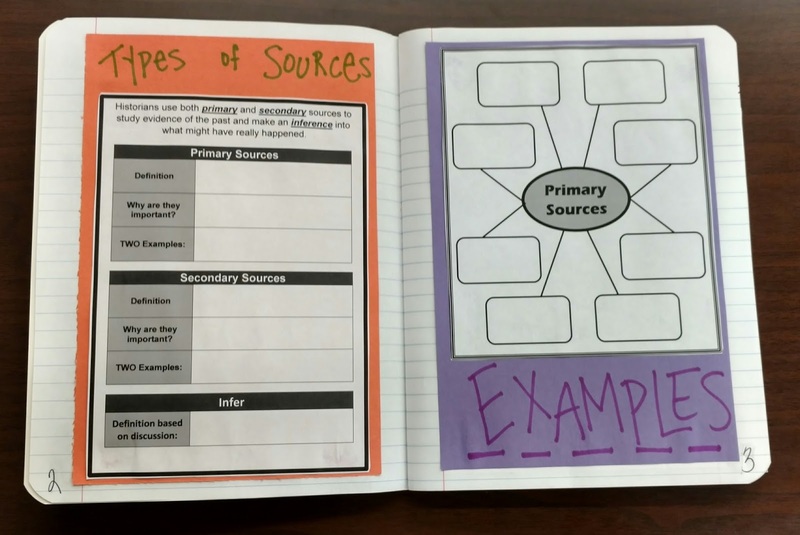 We explore the difference between primary and secondary sources and talk about what it means to infer. 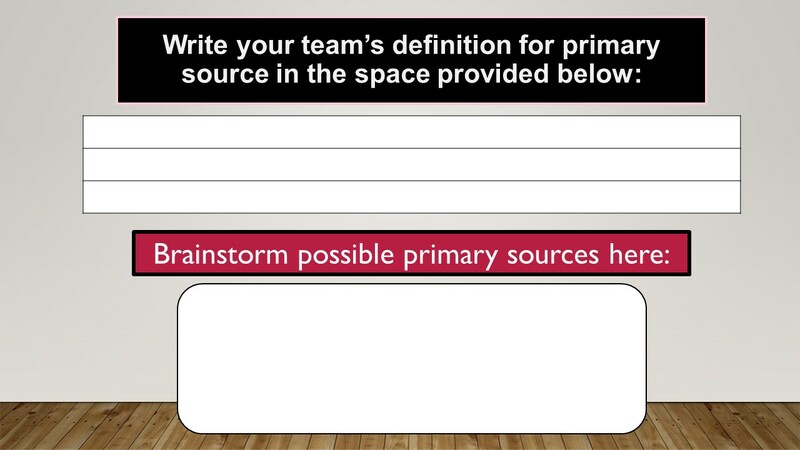 We brainstorm the different types of primary sources. 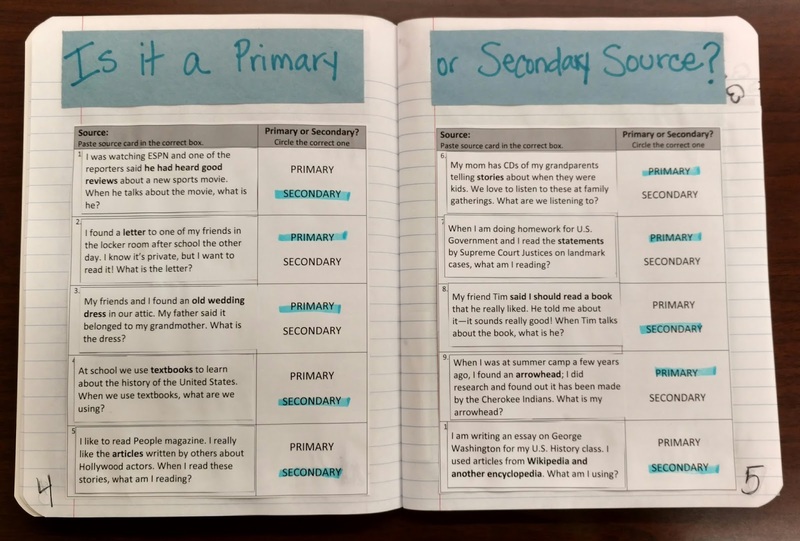 I have done this differently every year, usually by Googling “primary and secondary source lesson plans” and piecing together what works for me. This year I came up with these which were mostly taken from this lesson plan. These are recorded in a notebook that is my take on an interactive notebook. 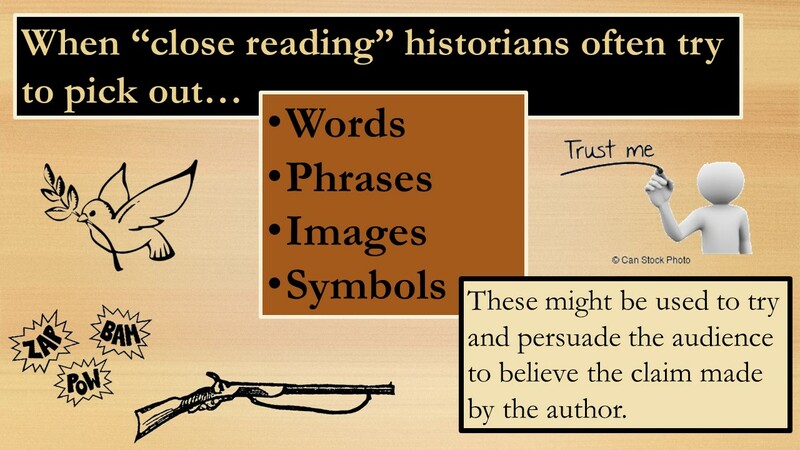 I call them HIT (Historians In Training) books. These books are used to collect information from a variety of sources and determine the accuracy of that information. (Click here for a post that goes into more detail on my HIT books). Application of the discussion from day 1. 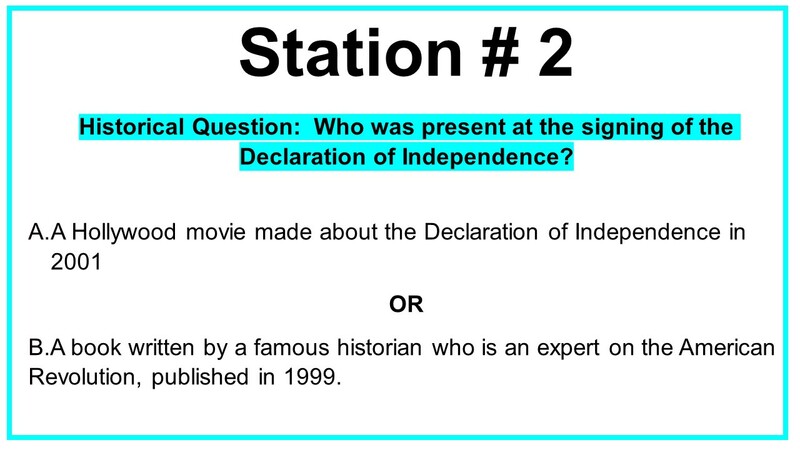 I usually have a variety of stations (10-12) that have either scenarios or actual objects that students rotate through in pairs and decide if it is a primary or secondary source. The scenarios often come from the powers of Google. 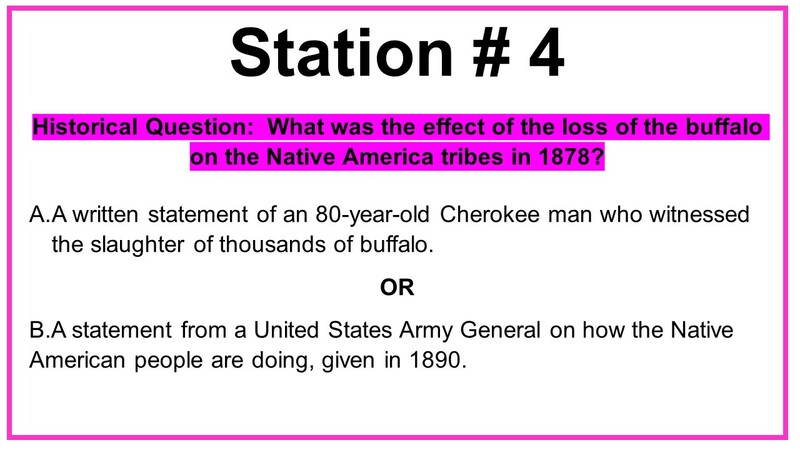 The process of students moving through stations is a teaching strategy that I use OFTEN. Such a great way to get kids up and moving AND have them experience a variety of things in one class period. 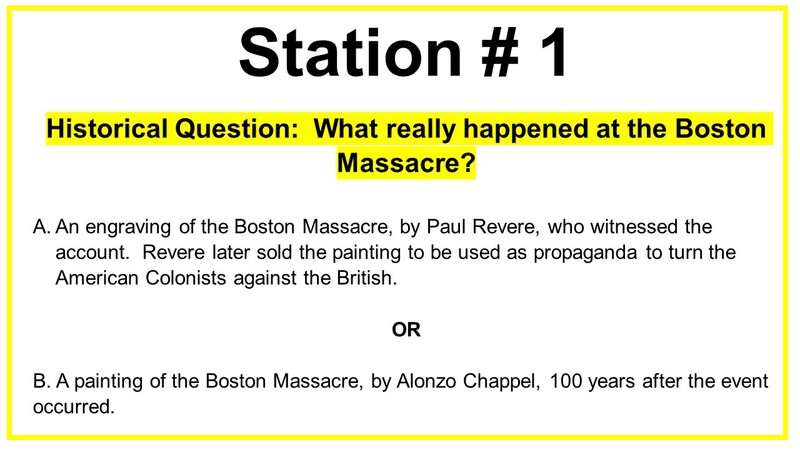 This year I had 10 stations, each with a scenario card that they pasted into their HIT book and selected whether it was a primary or secondary source. 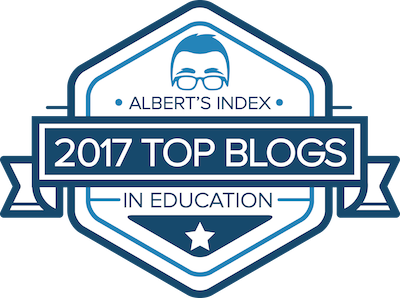 The scenarios and base lesson plan I used for inspiration can be found here. Historical Thinking Day. Students learn some big words today. Sourcing. 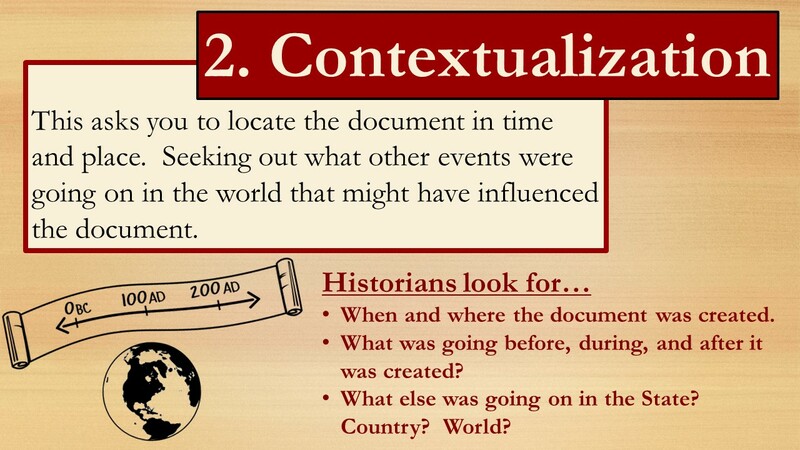 Contextualize. Corroboration. 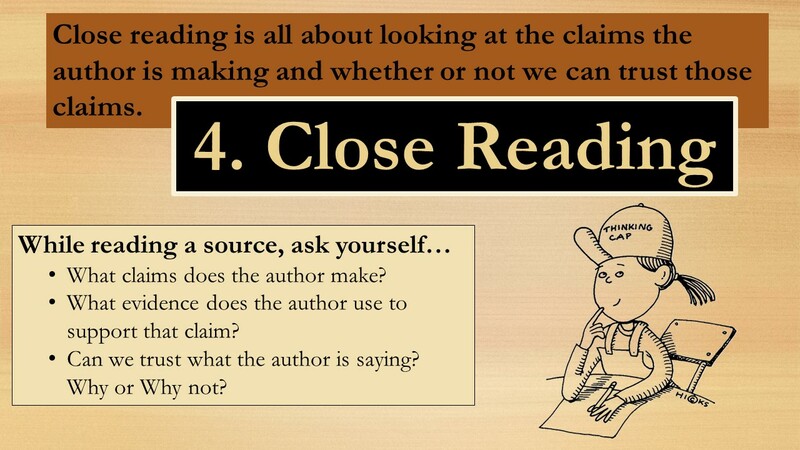 Close Reading. 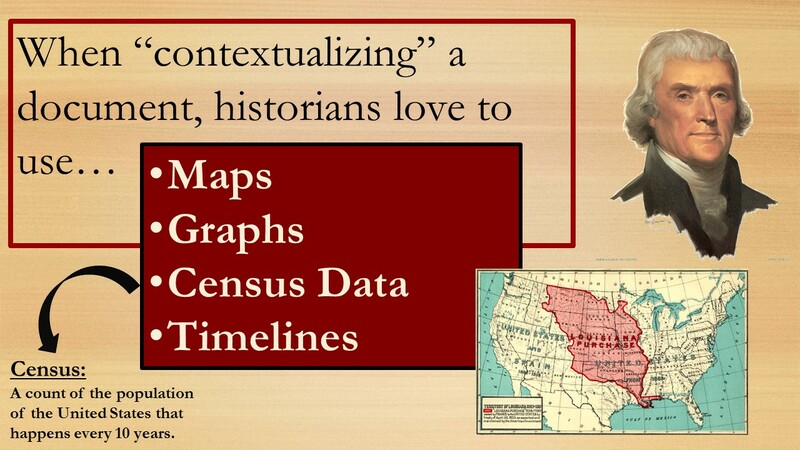 I am a huge fan of SHEG (Stanford History Education Group) and their website. 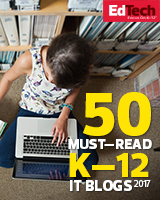 They have so many awesome lesson plans for teachers to use. I am a frequent flier on their site! We then move on to an exercise in sourcing. 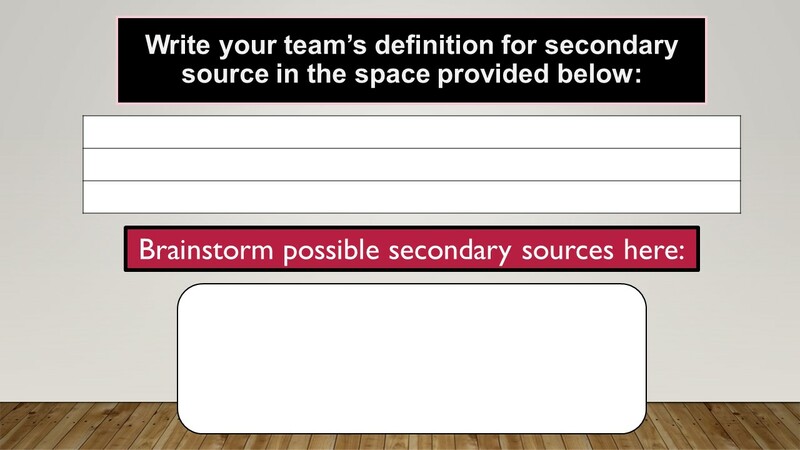 I call it “All Sources are not Created Equal.” Again, the premise for this activity comes from SHEG. I took their idea and made a few changes. 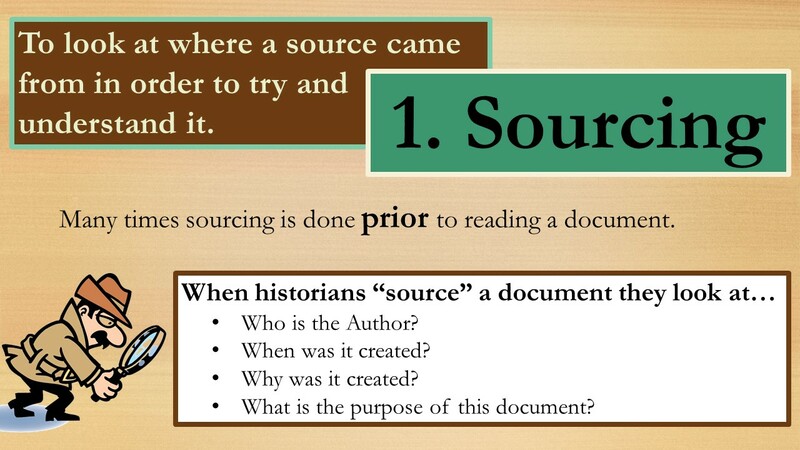 I create six different “Historical Questions” and then provide two types of sources. 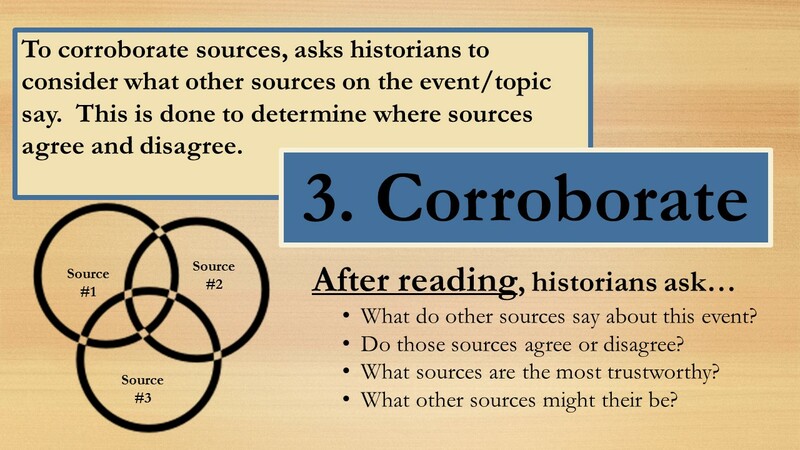 Students have to identify which sources are the most reliable based on the question. These are set up as different stations. 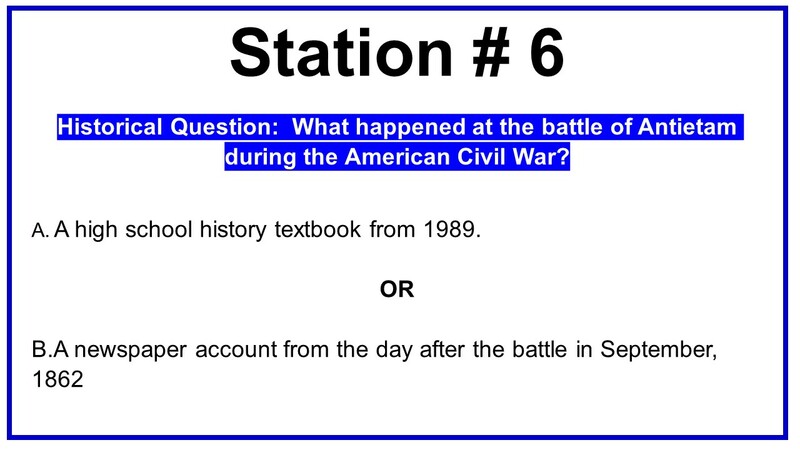 Working in teams and rotating through stations, kids fill out these charts and paste them in the HIT notebooks. The point of today’s lesson is to teach them that just because something is a primary source doesn’t mean that it is truly accurate. By this point, my 7th graders think that a primary source is GOLD and cannot be wrong. 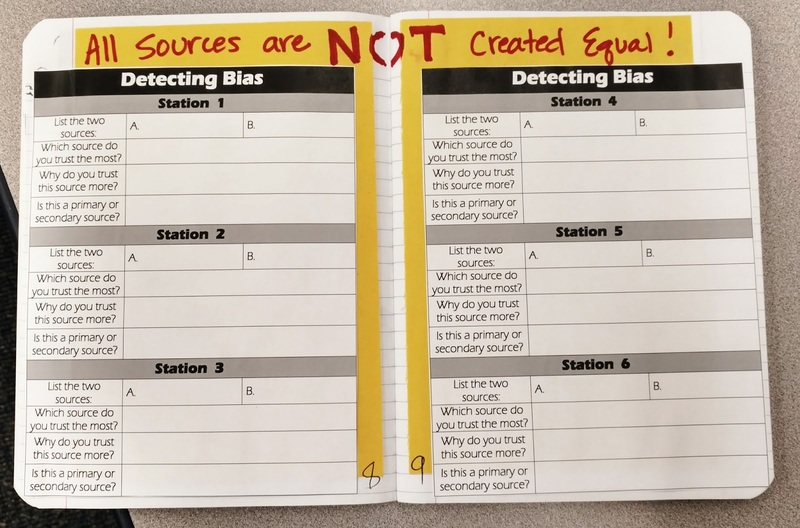 This activity attempts to have them detect bias. I will have to refer back to this activity throughout the year. They LOVE primary sources! Both of these are taken directly from SHEG. 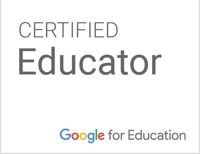 Click this link to create an account and access the lesson plan. (You’ll be glad you did!) I made no changes to this one. The kids love it! BONUS . 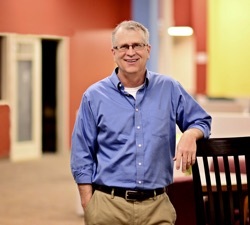 . . it may help provide a little empathy for the tough job building principals have when it comes to figuring out who to discipline when disputes happen! History in a Bag. This is without a doubt my FAVORITE lesson of the whole Historical Thinking Training that I do at the beginning of the year. I split this up into two different days. Usually Part One won’t take an entire class period for me (75 minute classes), so I’ll tack it on to the end of the previous one. You can read the entire lesson for PART 1 by clicking here. Part 2 is really the one to get to. The shortened version is that I fill a tub with primary sources that all center around one person. 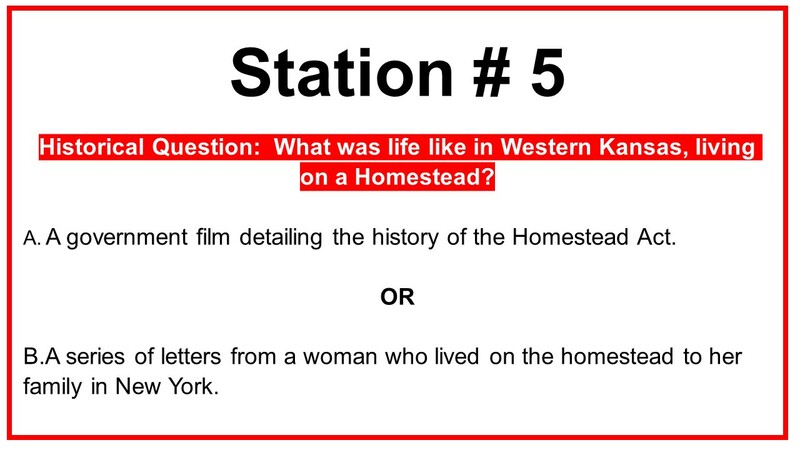 Students analyze the artifacts and are able to determine who the person was, what he/she did for a living, where he/she lived, and some of his/her hobbies. Plus, there is a fun secret fact they figure out by the end of the day. The kiddos mention this each year as one of their favorites! Read the lesson for PART 2 here. And there you have it. A new crop of 7th graders who have been trained in the art of historical thinking. They will spend the remainder of the year using the skills they learn in these first 5 to 6 days of my class.I do work in a middle school that uses a block schedule so my class periods are about 75 minutes long. Each of these days can be split into two traditional 50 minute classes. There is definitely room for cross-over between days and time to add it technology “how-tos” that are necessary at the beginning of the year. Flexible is the way to be! Feel free to steal, borrow, copy, and use whatever you want. Don’t hesitate to comment or contact me through Twitter (@JillWebs) if you have questions! ← Best posts 2017: Where have you been all my life Structure Strips!? I love this idea of the HIT books. I have used the materials from SHEG but I really like how you set it up with your notebooks. I will be teaching a 7/8 history class in January and would really appreciate copies of your docs if you don’t mind sharing. Thanks so much and Happy New Year.